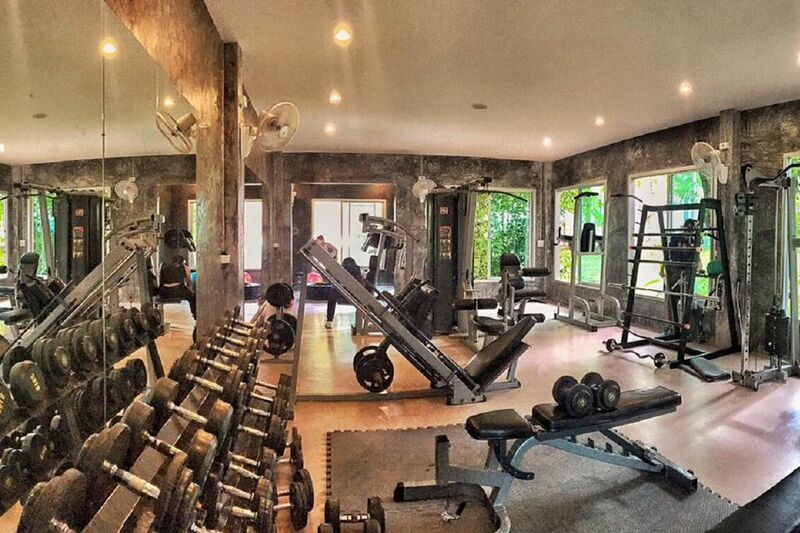 Fit Gun Gym is an independent fitness center located on the way to Kathu Waterfall, in Kathu. You should drive approximately 1.5 kilometers into the Soi Naam Tok and you will find it on your right-hand side. 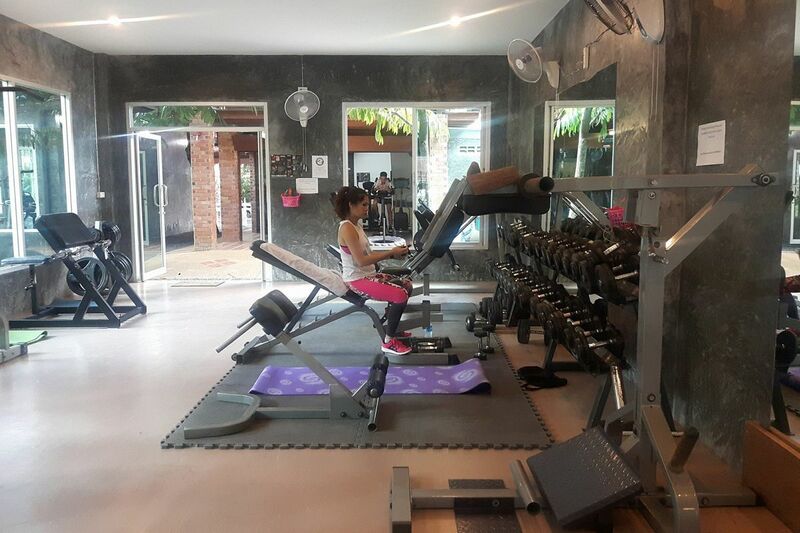 They offer a wide variety of machines for both cardio and body building, separated in different buildings to make it easy to find out what you need. 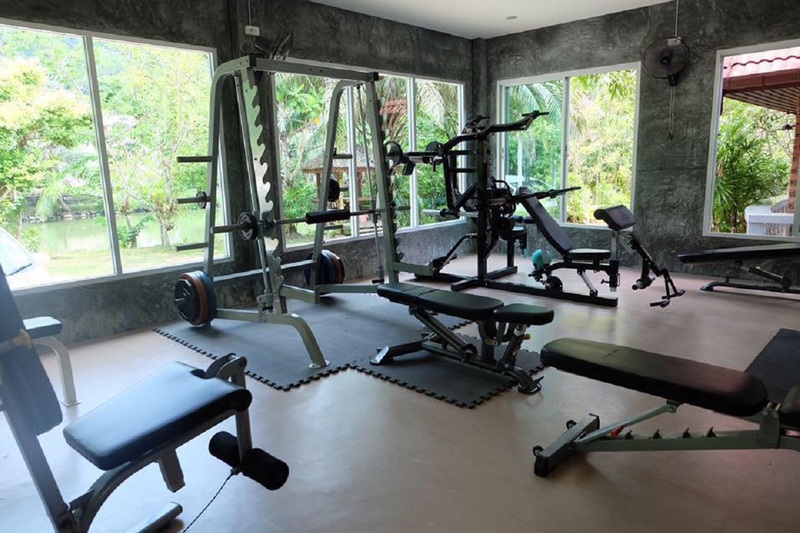 The small reception can provide you with towels and a selection of beverages, from the well-needed fresh water after a series of exercise to whey protein shakes. 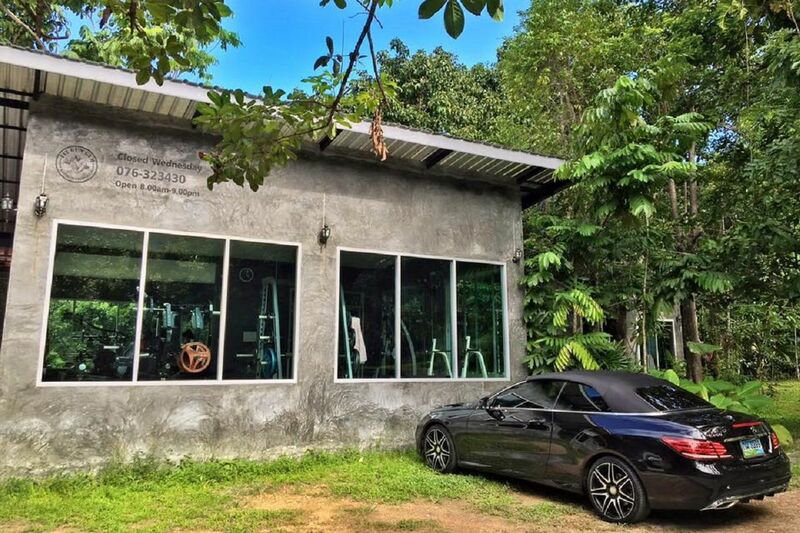 Fit Gun Gym is not your traditional fitness center; when you look at the architecture of the place, you quickly realize that this place is not playing around. They focus on getting you fit, whether you are looking at losing a few extra kilos or develop your muscles and gain weight. 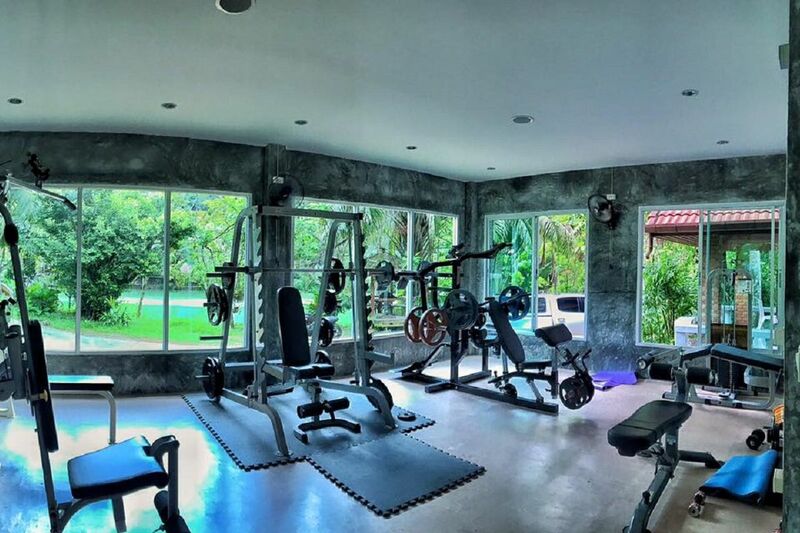 The only distraction would be the wonderful gardens the fitness has been built on, complete with a little lake to give you inspiration and to push yourself to the limit. 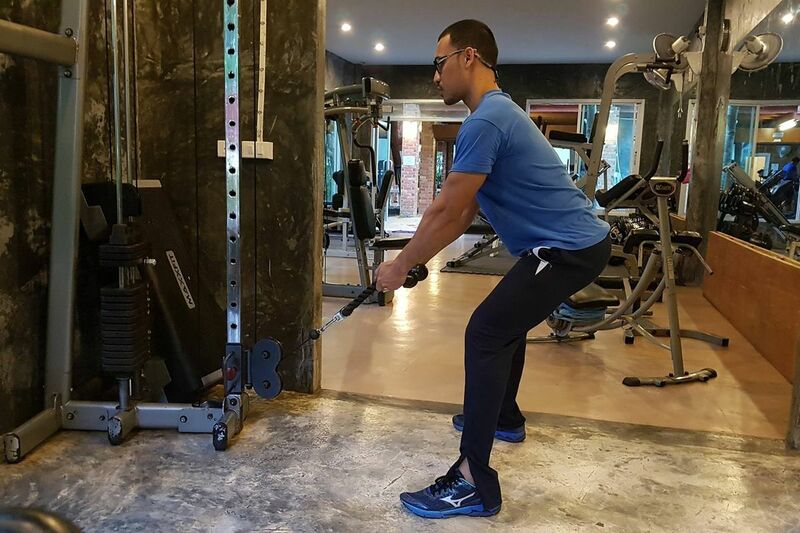 Fit Gun Gym can also provide you with a personal trainer, who will accompany you throughout your fitness journey, advising you on what exercises you should be focusing on to achieve your goals. This is especially effective if you are looking at getting into shape in a relatively short amount of time. 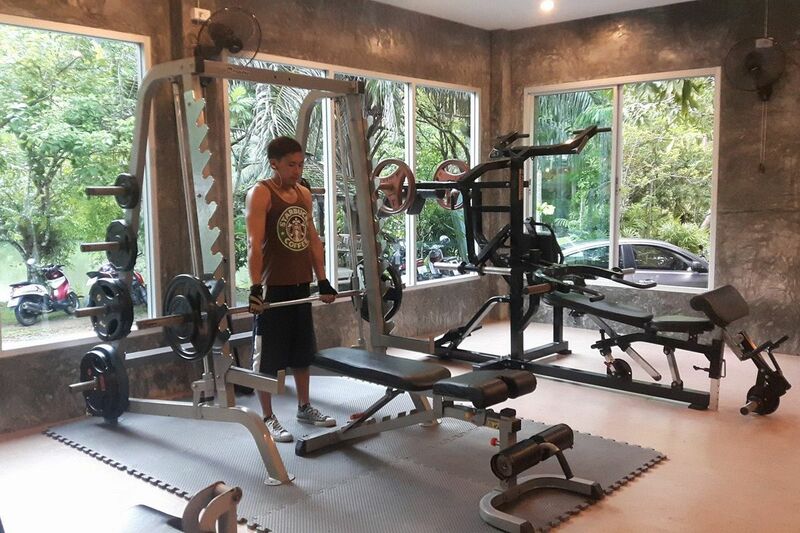 Memberships starts at THB 1,200 per month, though they often have promotional prices on their Facebook page; it is always a good move to check their page first beforehand. They also offer several packages for three, six and twelve months, if you are a resident of the area. 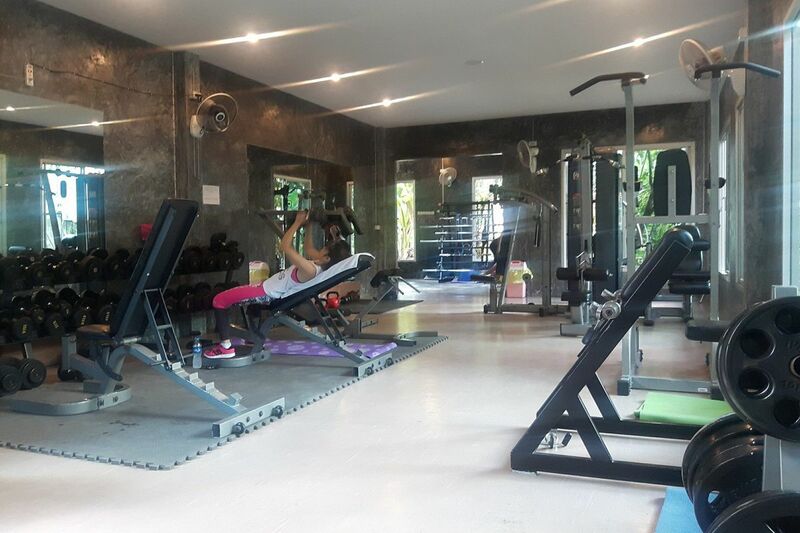 Another advantage on the venue is that it is located right next to a spa, which can offer massages, treatments and steam room, along with a small swimming pool. The entry to the sauna is not included in the package, as they belong to different owners. Open daily from 8:00am till 10:00pm. Closed on Sundays.